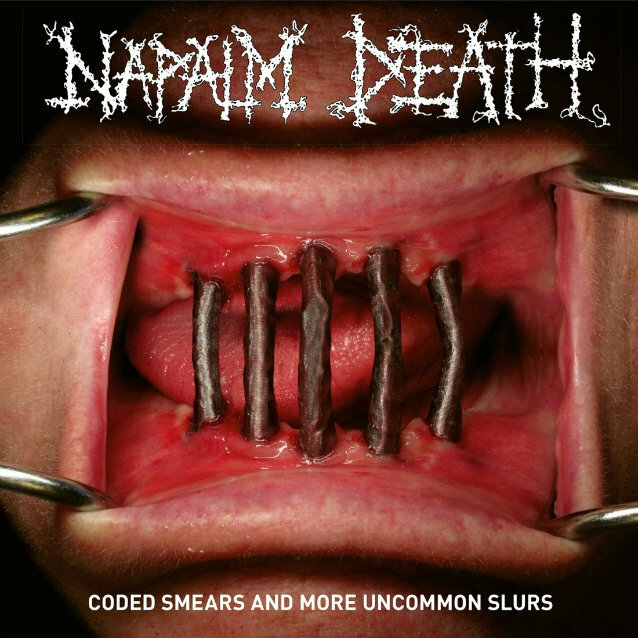 Napalm Death are a UK grindcore band and this is their latest album. This is a compilation double album that brings together various rare, cover, bonus, compilation, and split release tracks all in one place. Stretching back as far as 2004, this album boasts 31 songs and has a total duration of 94 minutes. It may be long, but it’s a damn good listen. If you’re familiar with the creatively devastating force that is Napalm Death, you’ll know to expect not only chunky, savage grind, but also beefy metallic aggression, and some more experimental forays into wider musical climes. There’s a bunch of different cover versions too, (Gepopel, Cardiacs, G-ANX, Gauze, Sacrilege, and Despair). Considering the disparate nature of the source material – all of the various different releases these tracks come from – you might expect an album that doesn’t really flow. However, the running order has been chosen deliberately, and not without thought, it seems. Rather than grouping songs together off the releases they originally came from, as would be a reasonable thing to expect, the running order has been chosen based on which songs go well with each other. This means that the various songs have been torn from their original placement regarding their year and origin, and instead placed where they best serve the overall flow of the album. Whoever did this definitely knew what they were doing, and Coded Smears and More Uncommon Slurs essentially sounds like a well-formed and complete Napalm Death album, albeit a very long one. Although the vast majority of the tracks here are new to me a handful I already know. For example, Call That an Option?, a bonus track from the excellent Smear Campaign album, is one of my favourites. I always thought it was an absurdly high-quality song to be ‘relegated’ to a bonus track, so it’s great that it’s more widely available now on this release. This is one of the great things about Napalm Death; they have always been very good at what they do, no matter what direction their material took over the years, and due to the period of time that this compilation spans, (covering their more modern era of brutality), the tracks here are all well-written and performed with the band’s customary zeal. There’s nothing really here that can be considered filler. I like collections like this. You get a lot of good music without having to go to the ends of the Earth trying to track down obscure or no-longer-available releases just to get your completionist fix. Not only highly recommended for any Napalm Death fan, but for any fan of extreme metal in general. This entry was posted in Grind and tagged grind, Grindcore, Metal, Napalm Death. Bookmark the permalink.